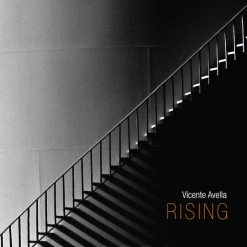 Rising is the second full-length album from pianist/composer Vicente Avella and his first album of all original compositions. His debut album, All the Days of My Life, was released in 2013 and was named “Best Solo Piano Album” by One World Music Awards and received an “Award of Excellence for Instrumental Performance Solo” from Global Music Awards. Born and raised in Venezuela, Avella has been writing and performing internationally since 1998. He has scored numerous independent films, orchestrated and worked on music production for major network television shows, and written music for worldwide advertising. Where the first album was solo piano, Rising is piano and orchestration with live musicians (strings, bass, guitars, percussion and wordless vocals). The overall theme of Rising is “life, its joys, its struggles and especially the strength needed to overcome life’s obstacles” (quoting Vicente Avella). The eleven pieces are varied and often emotionally charged and intense, much like life itself! Avella recorded the music and most of the instrumental parts in Southern California and then traveled to Italy to work with sound engineer Michael Seberich on the mixing process. Avella wanted the music to have a wide range of expression and to have a sound that wasn’t classical or pop but a balance of both. It was well worth the trip, as the sound quality is excellent and very dynamic. I love All the Days of My Life, but Rising is even more personal with a wider range of expression. I can pretty much guarantee that Rising will be one of my Favorite Albums of 2018. Rising begins with “Yours,” a tender, graceful love song for piano and strings that’s sets a romantic tone. 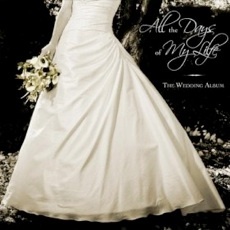 “For Always” is a nine-minute piece not unlike some of Ludovico Einaudi’s music. A rhythmic pattern runs through much of the piece to keep it moving forward, but the melody itself is actually quite spare, played mostly on the piano. Strings intensify the poignance and emotional quality of the music - beautiful! I love the title track! Mysterious and very intense, this one grabbed me right away. There are several themes running through the piece - some are very rhythmic with a strong beat, some are quieter and haunting, and some exude a buoyant joyfulness. You have to hear this one! 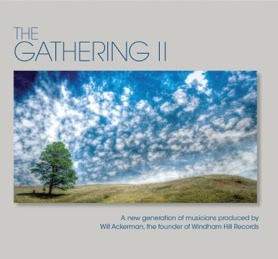 Avella did much of the composing for this album either before his family woke up or after they went to bed, so I’m sure he’s quite familiar with the calm peacefulness of “Daybreak,” setting it to music. “Relentless” is another favorite. Dark and very intense, the piano, strings and percussion draw you in and never let go. Love it! “Everything” is much lighter and more carefree. It’s very difficult to sit still while listening to this one! “Turning Point” begins with a dark, ominous theme that is intense and compelling. As the piece progresses, it stays very dramatic, but begins to lighten a bit, ending with a triumphant burst of energy. “Looking Up At the Sky” is more of a concept piece and is somewhat more ambient. At 10 1/2 minutes, it has plenty of time to create a relaxing atmosphere that is warm and soothing while maintaining a slight edge. The piano and strings blend together well to tell their hypnotic story, building to an energetic midsection, quieting and closing with a flourish - another gorgeous piece! “Turning Off the Noise” brings this excellent album to a very tranquil close, keeping is simple, open and heartfelt. Rising is an album that really demonstrates Vicente Avella’s versatility as well as his passion, and I’m sure it will be widely recognized as one of the best albums of the year. It available from Amazon, iTunes and CD Baby. I give it my highest recommendation.